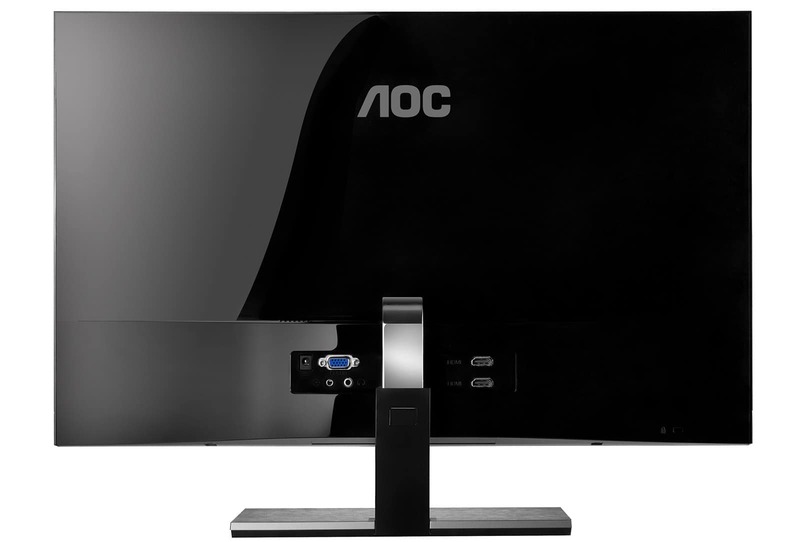 AOC have been stirring up quite a lot of interest as of late with their recent spate of monitors seeming to hit all the right notes in terms of specification, price and looks. 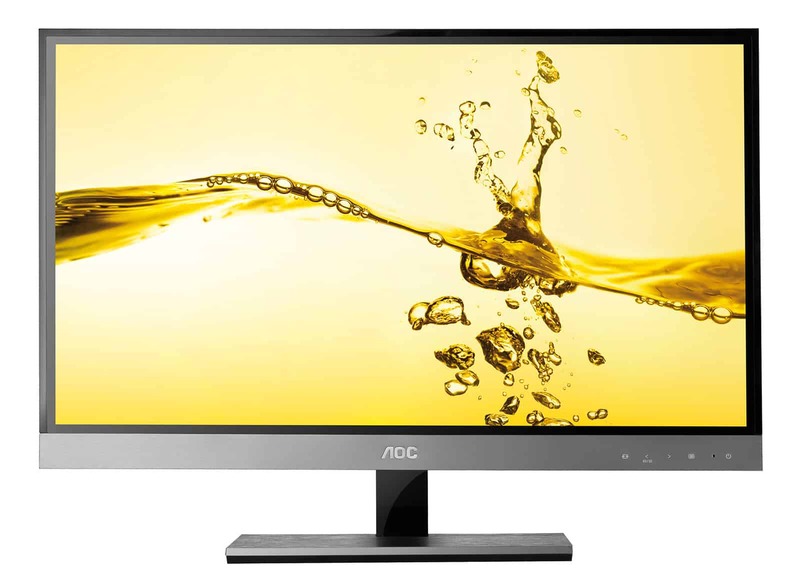 This trend is set to continue with the AOC d2357Ph, an upcoming 3D monitor featuring LG’s FPR (Film Patterned Retarder) passive technology. The basic points to note about the d2353Ph interally include the LED-backlit 23″ TN panel screen with 1920 x 1080 resolution, 2ms grey to grey response time and FPR technology. Although this monitor is capable of displaying 3D and even converting 2D to 3D using the included software it is limited, like all current passive technologies, to a 60Hz refresh rate. For those interested in how this compares to competing active technology TFT Central have recently published a great article on this very topic. Really a key advantage of this 3D implementation is that it lowers the product cost considerably and also allows AOC to be fairly minimalistic with the connectivity options; just two simple HDMI 1.4 ports are included. But it isn’t really the inside workings of this monitor that distinguishes it from other passive 3D monitors, it’s the innovation and aesthetic appeal of the outside. The first thing to notice is that AOC have opted for brushed metal in place of glossy ‘piano black’ plastic for the stand base and bottom bezel. The top and side bezels are glossy plastic – but there is really so little to them anyway. The bezel is technically only 5.8mm which even makes the diminutive 10mm of the Samsung SA950 look ‘thick’. However; there is also an inner border flush with the screen that adds another 7mm or so to the ‘area around the screen’. AOC will be keen to point out that this still makes the bezel itself appear ‘razor thin’, which is fair enough. This is a design change which LG has pushed for with their latest ‘Cinema 3D’ panels and you can see the visual impact this has in the image above. If you prefer you can remove the main stand so you are left with a little looped metal ‘kickstand’ at the back as the image below illustrates. AOC will also include a special ‘neck piece’ which allows the stand to become height adjustable in its desktop stand configuration. The ‘kickstand’ alternative is a similar concept to that of the ViewSonic VX53 range in that it effectively leaves you with a large ‘photo frame’ as shown in the image below. This innovative choice of three stand configurations for the AOC 57 series has already gained this monitor an iF Product Design award. So this is certainly an interesting display which should garner some keen interest when it’s shown off at CeBIT in Hannover between the 6th and 12th of March. What should make this all the more tempting to the prospective buyer is the recommended retail price of £205. We expect to see this come in at sub-£200 when it’s released in the UK in April which again goes to show that AOC has a knack for delivering something stylish and a little different without an unjustifiable price premium. This model is also due to be released elsewhere in Europe at a similar time.